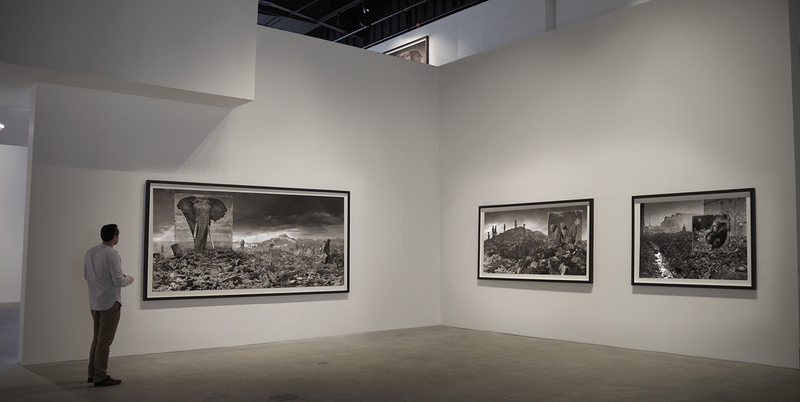 Custot Gallery Dubai is pleased to announce the solo exhibition Inherit the Dust, the latest series of photographs by Nick Brandt showing from 8 December 2016 until 28 February 2017. 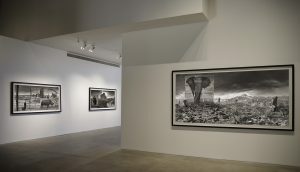 The exhibition features a series of large-scale black and white panoramas that depict the perishing natural world in contrast with an explosive urban development. For this recent body of work, Nick Brandt has printed and enlarged his animal portraits to life-size, placing them in locations such as factories, underpasses and quarries. The resulting artworks feature haunting representations of the most majestic and endangered species – elephants, rhinoceroses, zebras, lions, apes – as they seem to wander through a wasteland of despair and destruction. Please contact info@atlasgallery.com for more information.